When you view the PDF document, you can also jump to useful links by clicking one of the clickable elements. 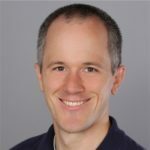 There is much more useful content out there, and we can only include one link for each piece of detail, but it is one way for us to recognize a the priceless contributions the ASP.NET community has made to this cause over the years. Please check it out, and send us your feedback! We (I) will definitely follow up and improve this document to make it valuable to you as we should.